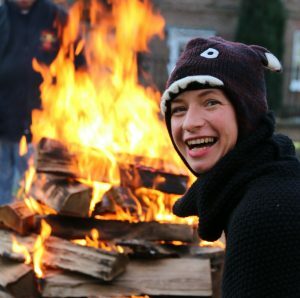 Last Thursday I led a group of 30 brave screenwriters, barefoot, across 750 degree hot coals in aid of charity. The experience for everyone present was nothing short of transformational. The firewalk causes everyone, to face very real fear and to overcome it, to inform our bodies that everything will be fine, and finally to take action. Make no mistake, those embers would cook steak, and quickly. Every one of the firewalkers experienced greater heat than they expected, but also became very clear about their own personal relationships with fear. I hope you enjoy the video, shot and edited by the very talented Vicky Tolidou. This firewalk was part of the Talent Campus at the London Screenwriters’ Festival, an intensive professional development program supported by the very lovely people at Creative Skillset.